Instant PHO24® is so delicious. It’s because we are the pho experts! As Vietnam’s leading pho chain we’re committed to using the highest quality ingredients, to create the best tasting products – whether for dining in our pho shops, or for enjoying our instant pho at home. 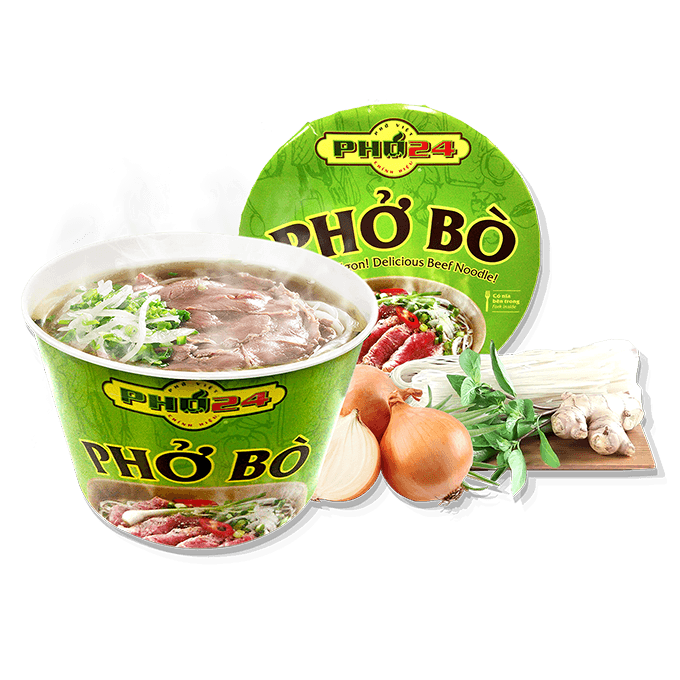 In our Instant PHO24®, we use real beef stock, freshly made and dried pho noodle with zero preservatives, and the same vegetables as served in our restaurants – only dried and with zero preservatives. At only 252 calories and made from rice based noodles (not deep fried wheat noodle), you’re also doing your waistline good! * Product does not contain beef slices.